Lumos Solar offers award-winning LSX frameless, sealable solar panels used in both commercial and residential projects. Our easy to install, aesthetically pleasing designs allow light transparency perfect for use in awnings, canopies and carports. Lightly Treading, Inc. is a full-service building performance design and analysis firm established in 1997. 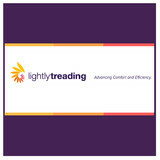 Lightly Treading was founded to educate builders and developers in techniques for constructing energy-efficient, comfortable and sustainable homes and buildings while teaching building owners how to enhance the energy efficiency and overall performance of their buildings. Lightly Treading provides the necessary building science information, specific to each unique building for multifamily developers, builders, commercial property owners, building science professionals, homeowners and community members across the Rocky Mountain region. Our team of energy auditors, energy raters and project engineers serve as third party consultants, aka independent Building Doctors, providing clients with the knowledge and improvement plans to optimize their building’s performance. Our team specializes in: Existing Multifamily and Commercial Buildings 1. Benchmarking utility data for multifamily and commercial buildings, 2. Level 1-3 commercial energy audits 3. Project Management of the energy-efficiency, comfort and sustainability improvements to your building(s). 4. We also perform air-tightness testing of newly built/renovated commercial buildings in Ft. Collins for their Code compliance. New Construction projects (Multifamily and High-Performance single family) HERS energy ratings, ENERGY STAR, Enterprise Green Communities and National Green Building Standards (NGBS) certification along with quality assurance inspections and tests for IECC 2012/2015/2018/Boulder/Boulder County code compliance for multifamily and cutting-edge single-family new construction projects. Existing Homes (with problematic comfort issues and/or poor energy-efficiency) We perform residential home performance assessments. Understanding Solar PV We also provide targeted consulting services such as the preliminary analysis of solar PV systems on buildings and homes Community Education Lightly Treading conducts informational energy efficiency workshops for the public and building owners. As one of the first companies of its kind, Lightly Treading has continually adjusted and expanded our services to meet the needs of our community and clients. Locally owned and operated PV Solar Installer. BBB A+ rated, with a 5-star rating on Google and Yelp. Serving the greater Denver and Boulder metro areas. indow companies should be energy experts. At Stellar we know more about how replacement windows can save you money every month on energy costs than anyone in Denver. We provide our Denver insulation and replacement window customers with both exceptional service and the best pricing. We use energy diagnostic equipment, blower door and IR camera, to "test out" after windows are installed to ensure the projected improvements in energy efficiency is met. This way, your savings are realized with out causing air quality or dangerous furnace back draft issues. We are certified NABCEP installers with electrical and professional engineers on staff. Based out of Boulder, we service all of Colorado. We believe everyone can go solar and we were founded on the idea of creating lasting change for future generations to come. At Endurance Solar, we believe solar makes sense for an economic and sustainable world and should be available to everyone. It's for that ease we are committed to changing the face of energy, one roof at a time. We are proud to be a SunPower Premier Dealer. Lower your utility bill. Get 18 months of free solar. 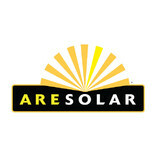 Enjoy a speedy installation from a full-service, well-reviewed solar company in Denver. Full-service general contractor, we restore the past and rebuild the future. Servicing beautiful Denver. 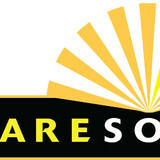 Namasté Solar helps customers save money with clean solar energy while committing to conscientious business practices. We are locally and employee owned so you money stays within your local community. Our non-commissioned home solar advisors help make the process easy and hassle-free. Our mission is to provide value to our customers by being the most reliable, consistent and experienced solar company in Colorado. Quality comes first. We believe that doing it right the first time, will bring many benefits into the future. Our purpose is to engage with each one of our customers to deliver the right service at the right price. We thrive by partnering with our customers, we believe that together we can deliver and tailor a better service and product all together. Radiant Floors, Inc. is a family owned and operated company that has been installing radiant floor heating and snow-melting systems since 1991. Our systems can be found all over the Denver Metro area, Front Range, and mountains in applications ranging in size from small remodels to 20,000 sq. ft. custom homes. Radiant Floors, Inc. designs and installs your system based on your needs. We do not rely on a wholesaler or 3rd party to design your system nor do we design your system and then pass on the installation to someone else. We complete your system from start to finish to ensure that the system in properly suited to your needs throughout the entire process. Are you interested in powering your Lakeside home with solar energy? Whether you want to lower your electricity bill or help the environment (or both! ), hiring a Colorado certified solar energy contractor is a smart first step to getting off the grid and getting into energy conservation. Solar energy professionals in Lakeside, CO can evaluate your needs and design, install and maintain the best renewable energy system for your home. Along with off-grid solar, wind and hybrid energy systems that include batteries and backup generators, there are also grid-tied solar and wind operations. Grid-tied systems are attached to your Lakeside, CO utility company so if you produce more energy than you use, your meter goes down and you build up energy credits. 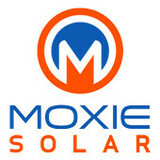 Find solar energy contractors in Lakeside, CO on Houzz. Search the Professionals section for Lakeside, CO solar energy contractors or browse Lakeside, CO photos of completed installations and look for the solar energy contractor’s contact information.